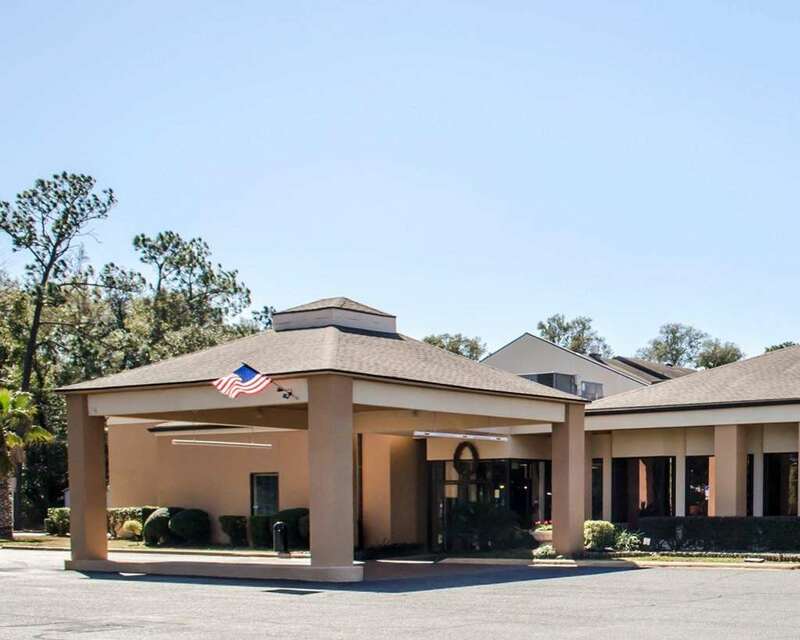 Get more for your money at the Quality Inn and Suites hotel in Pensacola, FL near Pensacola International Airport. Nearby destinations include University of West Florida, Blue Wahoos Ballpark, Pensacola Bayfront Stadium, Johnson Beach, Santa Rosa Island and Saenger Theatre. Pensacola Naval Air Station, Uncle Sandys Macaw Bird Park and Gulf Islands are also close. Enjoy amenities like free hot breakfast, free WiFi, meeting and banquet rooms, business center and The Piano Bar and Bistro. Guest rooms offer a flat-screen TV, coffee maker and desk. Select rooms offer a refrigerator, microwave, sofa sleeper and balcony. Also, earn rewards including free nights and gift cards with our Choice Privileges Rewards program.